Superdry women's Premium crew neck t-shirt. Update your everyday essentials this season with the Premium crew neck t-shirt. Crafted from a super soft cotton/modal blend, this short sleeve t-shirt features rolled sleeves and has been completed with a logo tab on the hem. 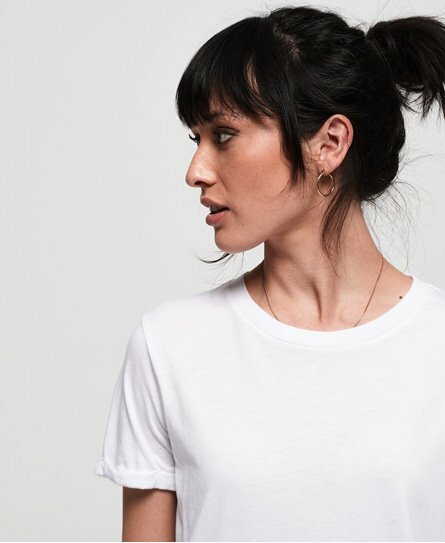 Pair with skinny jeans for the everyday or dress this t-shirt up by styling tucked into a denim skirt and adding a pair of heeled boots.